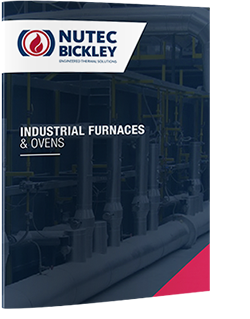 Nutec Bickley is a roller hearth furnaces and ovens manufacturer in custom designs to match customer production and process requirements. Furnaces and ovens designed for batch process applications, and for indexing-continuous production. Most advanced heat recovery systems with recuperative burners performing fuel savings from 10% up to 50% vs cold air system. High convection design to improve the fast heat up of the load. Customized air distribution designs in order to match the air flow pattern requirements according with product /load arrangement. Indirect firing option to avoid the contact of combustion products with load.